PORTLAND, OR--(Marketwired - Dec 3, 2013) - Aequitas Capital Management, a rapidly growing Portland, Ore.-based alternative investment management company, announced today that Brett Brown joined the firm as Senior Vice President, Business Operations. Mr. Brown succeeds Steve Hedberg, COO, who will remain a member of the Aequitas Advisory Board while returning to international law firm Perkins Coie, his previous employer, as Chief Operating Officer. As head of operations for Aequitas, Mr. Brown is responsible for Sales Operations, Marketing and Branding, Information Technology and Infrastructure, Human Resources, Recruiting, Administration, and Facilities. Mr. Brown has more than 21 years of experience solving complex technical and operating challenges at top international asset management firms including Fidelity Investments, Capital Group's American Funds, and Putnam Investments. Prior to joining Aequitas, Mr. Brown held leadership positions at Orbis Investments where he was focused on the creation and successful launch of Orbis' new retail funds business. "Aequitas is extremely fortunate to recruit a professional with Brett's formidable talent and credentials," said Aequitas CEO Bob Jesenik. "With his deep operational expertise, he will build on the excellent operational foundation and momentum established by Steve Hedberg." He added, "Brett Brown is another example of our strategy of acquiring world-class talent to advance our ambitious plans for growth." "I am excited to be a part of the Aequitas executive team," stated Mr. Brown. "The company is in the right place at the right time, and I look forward to contributing to what I believe will be a very bright future, both for Aequitas and its investors." Mr. Brown earned a Bachelor's degree in Economics from Lehigh University and an MBA from Columbia University, Graduate School of Business in New York. Founded in 1993, Aequitas Capital is an alternative asset management company dedicated to innovation, discipline and excellence. With proven expertise in finance, management and technology -- Aequitas sources, structures and implements Private Credit and Private Equity solutions, benefiting the individuals and institutions that trust us as a valuable investment partner. 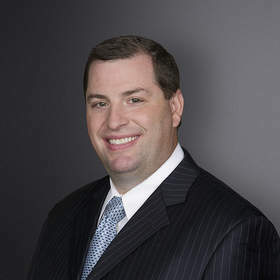 Financial industry executive Brett Brown joins Aequitas Capital as SVP Operations.